Pamela V - Diana Yacht Design B.V.
Motor yacht Pamela V reminds to the famous Diana yacht’s of the 80’s like Jamaica Bay and Rio Rita. With her steel displacement hull in combination with classic lines and a beautiful canoe stern this yacht offers total luxury and comfortable cruising performance. With a range of 5,000 nm and maximum speed of 14 knots she will be suitable for blue water cruising around the world. Thinking about the environment we wanted to make this yacht as ‘green’ as possible. This is why the owner chose to install the Energy storage Inverter (ESI) on board. 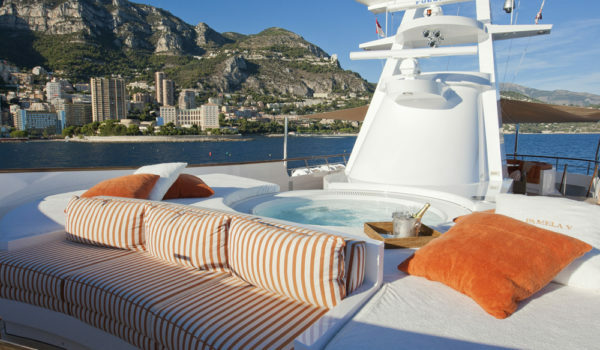 Eye catcher of this design is the owner’s deck with the luxurious master stateroom at the foreside with a 270 degree panoramic view. This lay-out asks for a raised wheelhouse, which Diana’s designers have integrated in the yacht uncompromising in her classic lines. 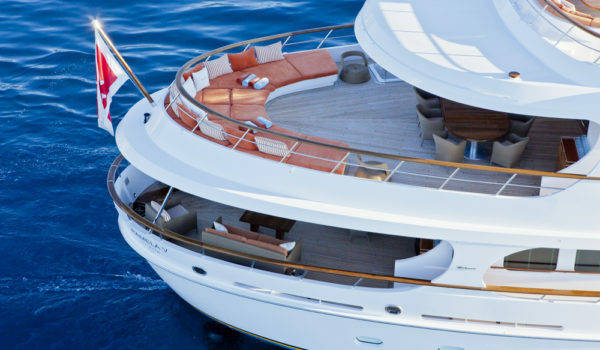 Together with four VIP staterooms on the lower deck she can accommodate a total of 10 guests. 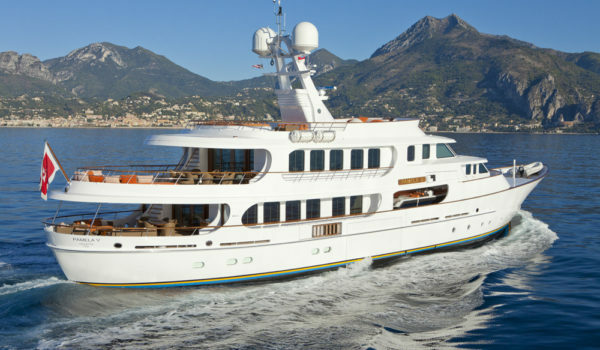 The amount of tenders and water sport toys is unique for a yacht of this size, the area forward of the raised wheelhouse is used as a garage which carries multiple tenders and water sport toys.